Thanks Colin for the pictures! Aren't these for services 11 and 75B? Interesting they still have the "Your local bus service" tag line! Nothing much local to Plymouth about North Devon! with exception of flash vehicles, all other fleet vehicles carry the same livery wheter its in Plymouth or not. 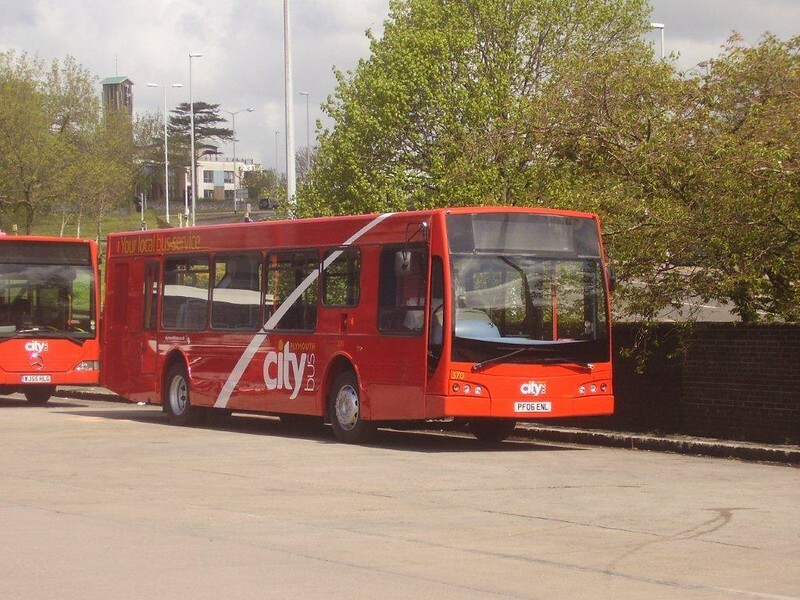 mike...all other vehicles are not in the "same" livery, you have several Citybus fleet livery variations surely. Rather than using a Plymouth Citybus livery, I would have thought that Blue Flash would have been something more neutral for the places served. Here is what happens when Go Ahead is allowed to have a monopoly. Why is he buying a cash return when he travels (according to the article) every day? If he had a 90 day pass on the Key it would cost him £2.20 a day and cover the whole Damory and More networks. Some people don't help themselves and just like to complain. I'd like to think that Damory have now advised him on better fare options, although disappointingly the article doesn't say so. I'm surprised that anybody who uses a Go-Ahead service regularly doesn't have a Key card. (No, I don't have any connections with Go-Ahead). Not only did I read the article, I also know the history of the service in the past 6-7 years since Wilts & Dorset handed over what was a through Weymouth/Dorchester to Blandford/Poole service to its low cost division. Go Ahead haven't 'stepped' in to provide it, they've been the successful bidder of a council retendering exercise to cut costs. They actually lost the route on retender in 2011, but they declared it commercial, to stop another operator getting a foothold out of its area. Once they were stopped, Go Ahead deregistered the service and it had to be retendered by the council. The service now running is one of three services to replace what used to be a single through link, so that will now not carry the same numbers of people, and thus the case for withdrawing it becomes justified. It's engineered decline of a service, that they have played nasty to operate by any means possible. Other people might be able to come in and make a success of the service, but the attitude Go Ahead has is 'if we cannot have it, then no one else will have it'. Look at what they are doing in Ringwood soon, to a small operator running three buses who will not survive Go Ahead's attempt to remove them from business. Yet Go Ahead are considered to be professional and beyond reproach by the bus enthusiast world. Their behaviour is what Stagecoach used to do to small operators and is why they were so despised. Yet a smaller operator does have a place in the market, serving the people a big business doesn't want to serve. Go Ahead doesn't really understand that concept that smaller operators can happily co exist alongside them. It is a taste of what will happen in Devon if Go Ahead ever gets a monopoly. You might think from this that I don't like Go Ahead very much, and your observation would be correct. As a bus user and someone who has left the industry for better paid work elsewhere, I hoped they might actually improve my bus service, not destroy it. How fortunate I am to have an alternative means of getting around, because if I relied on their buses I'd be stuck. that's been on the cards for ages. About as local as TESCO are yes! The logo on the vehicles is "Your Local Bus Service" - which is stating the blindingly obvious, it's the bus service which is local, not the company. Putting the more accurate "Your Local Bus Service run by a large PLC based in Newcastle who's major investors are American" on the side of buses would cost a fotune in transfers. Anon 4/5/13 18:58. I only hope you are correct...First would be most welcome in these areas I would think. I would certainly use them instead of 40/41... overpriced and useless service that it is! You only have to look at the 3a and 6 introduced last year, still going strong despite several Citybus route changes and price cuts, I am sure a return of the old 17 (southway) and 12 (plympton... will need new number!) would also be very popular and worthwhile to First Plymouth. A service to Whitleigh I feel would be winning territory for First now too. PCB have chopped and changed the 44, reduced frequency, poorer quality vehicles, unreliable and confusing time table! Is Southway really in a poor position in terms of service provided currently? And would it really be a good idea to go against PCB in Plympton following the huge investment in brand new vehicles and specific branding for Red Flash. I dint think this is an area First would be able to compete in, let along be victorious! First advertising for more drivers in Plymouth, so maybe? Wouldn't that be great? First over the expensive, unreliable GA group anytime for me. Yes they are advertising for drivers! 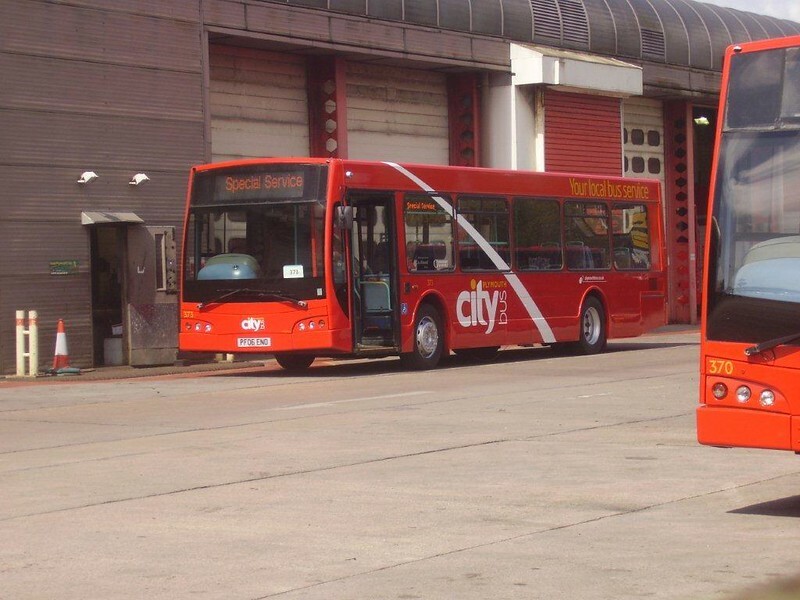 but thats to replace the many now employed by city bus. First could probably win in Plympton with SINGLE DECKERS,unlike the DDs that GoAhead use. The old and bold and those with prams are always complaining about being unable to use the buses. Same problem in Whitleigh last week with DDs running all day on the 44. A bigger bus is not always the right answer. Deckers have been taken off Service 44 following feedback from customers and drivers, as really they are oversized for the narrow roads of Whitleigh. They appear to have been swapped round with the 52-reg batch of SPDs that were on the 29/29A.